Chlorination service for latex clothes made by us. 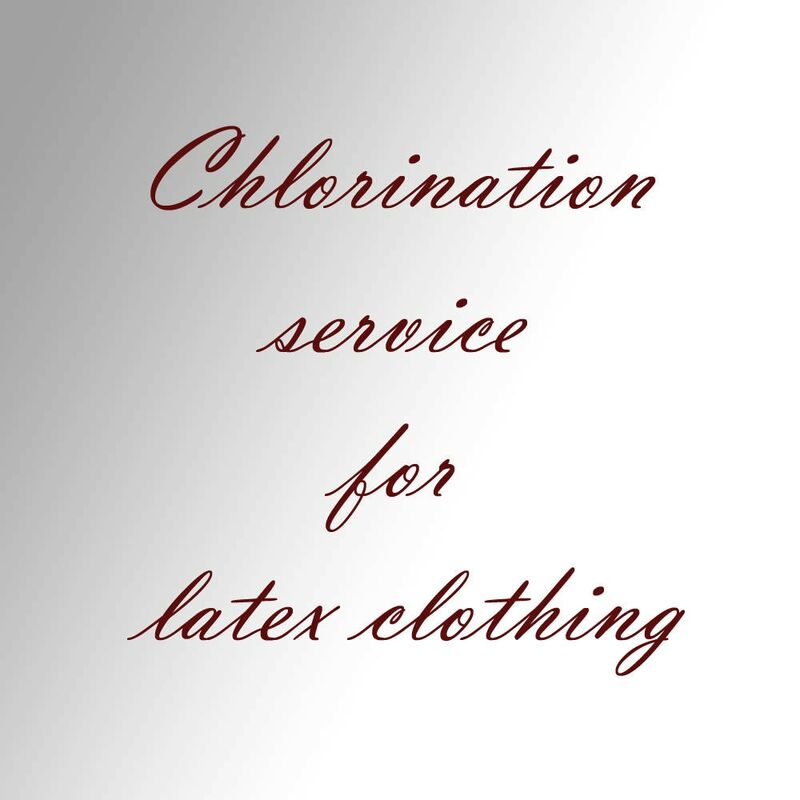 You can add this to your order if you want your latex garment to be chlorinated. Chlorination makes the latex permanently smooth and soft. This means: in most cases you won't need talc or lube to get into it. - you can get dressed quickly and with no fuss or mess. - The latex won't stick to itself once it is clean and dry again. - Polish if you like the outer surface. Remember any silicone transferring to the inside will block the chlorination effect. Better fort latex ! So sweet.